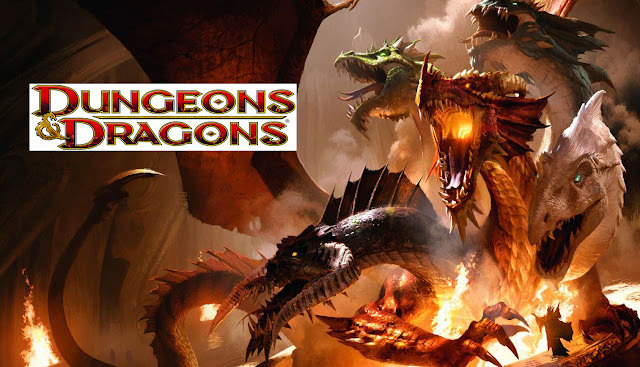 RETRO KIMMER'S BLOG: PEOPLE STILL PLAY DUNGEONS AND DRAGONS TABLETOP GAMES! PEOPLE STILL PLAY DUNGEONS AND DRAGONS TABLETOP GAMES! Dungeons & Dragons are the most played modern tabletop games. Though most often associated with nerdy teenagers huddled over a table, people from all walks of life are now flocking to the game in droves, preferring to spend their evenings running campaigns with their friends. The game is more popular than ever, and there are a number of reasons why. Here are our top reasons why people love playing Dungeons & Dragons again. The real beauty of a game like D&D is that every time you play, the game is completely different. Depending on your friends, the playing style of the Dungeon Master and, of course, what happens each time you roll the dice, your game experience is guaranteed to be unique. One of the best ways to up the ante in your playing style is to use miniatures rather than a narrative gameplay style. If you haven’t got a miniatures setup, then you can order bulk miniatures from jawstec to get yourself started. This is especially good if your games focus heavily on battle. D&D is the type of game that literally anyone can pick up and play. All you need is imagination. This is a far cry from the game’s beginnings, where the gameplay was rather male dominated. However, all types of people are finding their way to D&D these days. A large part of the popularity is due to the vast number of D&D podcasts that are being produced, and the fact that you can even watch D&D games on YouTube now. The appeal of immersive games is that you get to play the hero. This is most common and relevant in video games, where, by the end of the game, you get to save the day. However, the narrative of video games is set in stone and pre-written before you ever turn it on to play. The beauty of D&D is that while you get to be the hero, your story is different than anyone other player. If you’d rather not be the hero, you can always choose to play the villain. The choice is yours! There’s something special about sharing an amazing experience with a small group of people. A typical campaign can last months, and the emotions and action you share as you progress through the game means that you develop a strong sense of camaraderie between yourself and the other players. There is no doubt that the bonds you form as you go through the game are a special, unbreakable kind, and the friendships you make will last for years. This is, by far, one of the best reasons that D&D is making such a resurgence. Amongst all the thousands of different tabletop games out there today, Dungeons & Dragons are truly the grandfather of them all. There are so many different ways to play the game, and the result is a months-long effort that yields glory, fun and new strong new friendships. If you’ve not yet considered taking the plunge and learning the intricate ways you can protect your realm, there’s no time like the present!